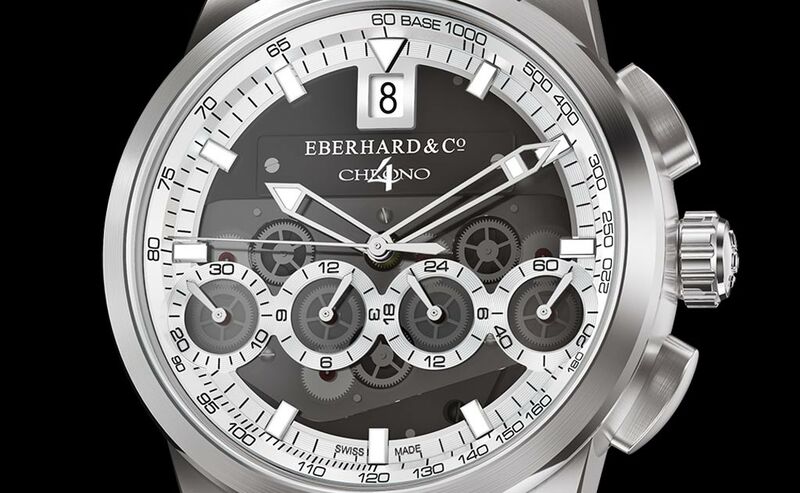 Founded in 1887, Eberhard has chosen the Chrono 4 to celebrate its 130th anniversary as a model which highlights the attitude of the brand to reinvent itself while maintaining deep bond with its roots. 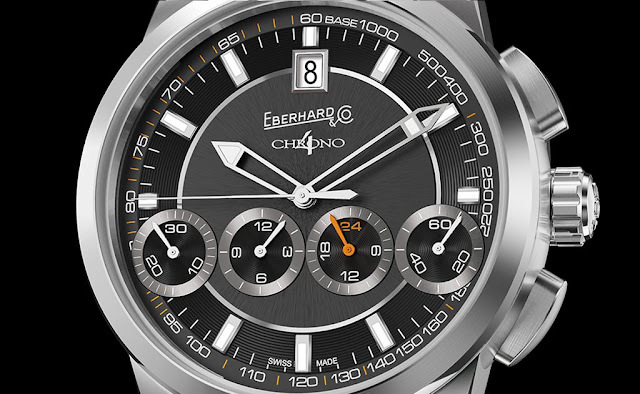 The Chrono 4 130 features a 42 mm stainless steel case framed by a bezel with circular satin finish and is strongly characterized by the dial with four counters in a row. 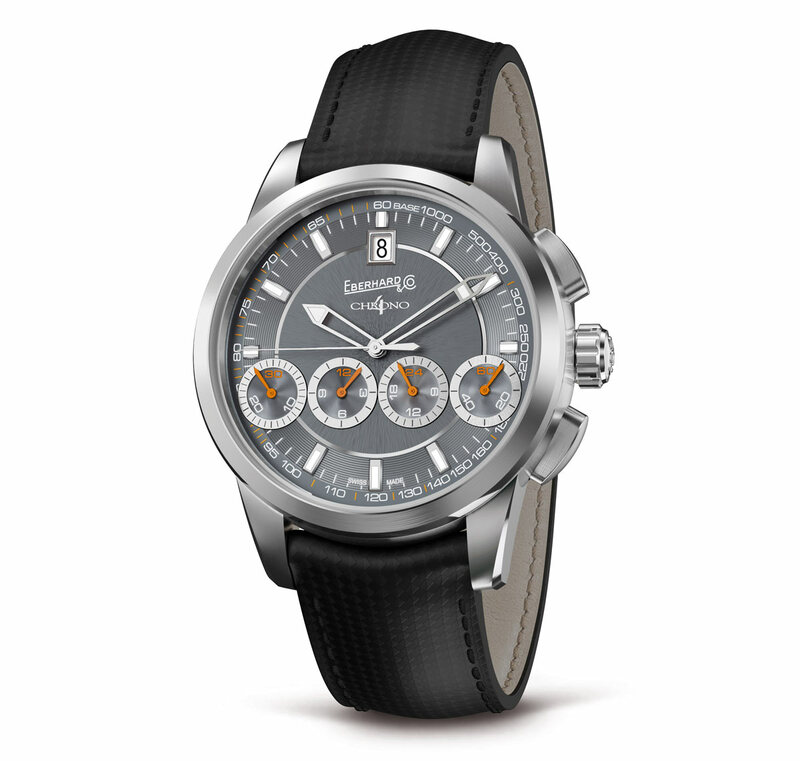 Three are the dial variations: black with black counters with azurée finishing and details in orange, grey with grey counters with azurée finishing and details in orange and argenté with black counters with azurée finishing and details in blue. 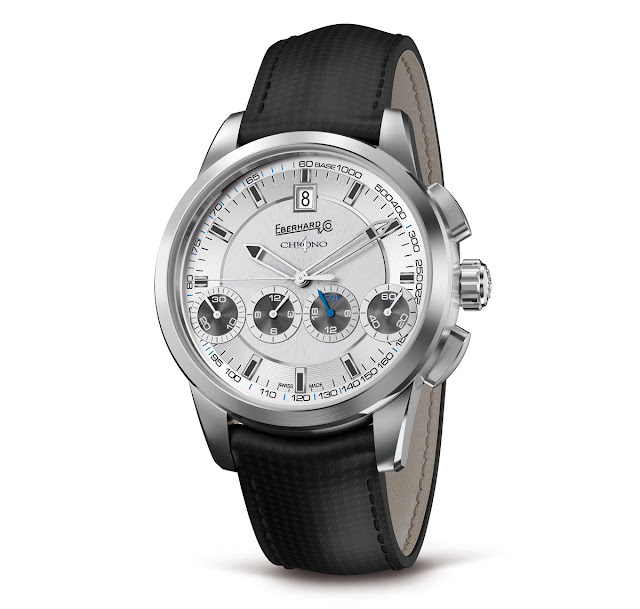 In all versions, the central soleil part of the dial is delimited by a diamantage-finished circle, while luminescent indices are applied on the outer zone. 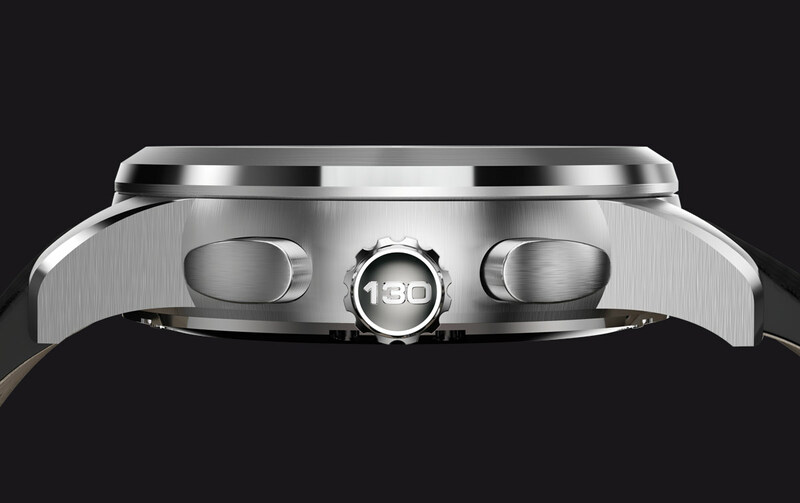 Positioned between the two drop-shaped chronograph buttons, the crown is personalised with the number “130”. 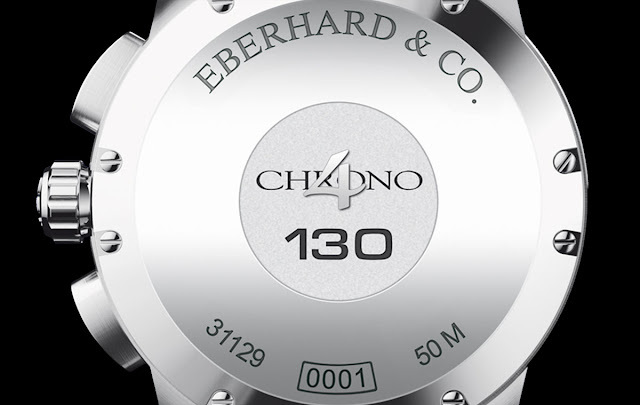 Waterproof to 50 metres / 165 feet, the case-back of the Chrono 4 130 is secured by 8 screws and features a central medallion in bas-relief with sandblast finish, personalised with the Chrono 4 130 logo. 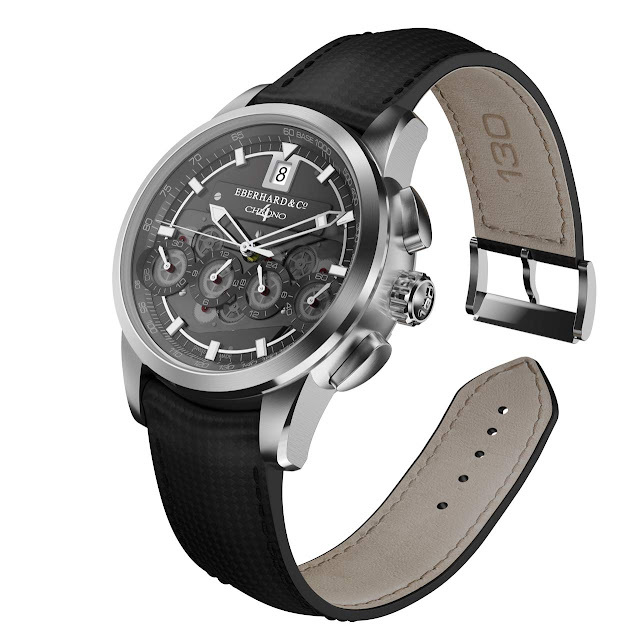 The Chrono 4 130 is completed by a grey-black carbon wear strap and has a suggested retail price of around Euro 4,650. 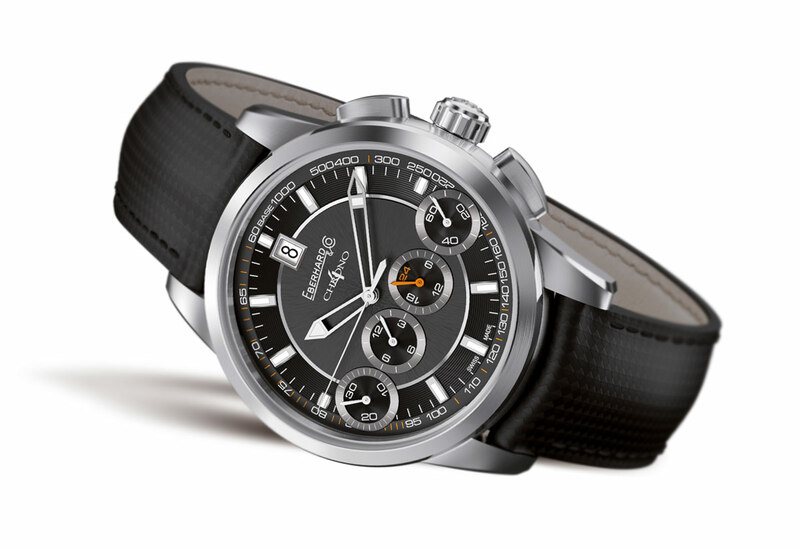 Eberhard also released a 130-piece limited edition with the same size and features except for a skeleton dial, argenté or black, which reveals the main plate and the wheels with DLC finishing, protected by an upper bridge in a special sapphire glass that is 3 tenths of a millimetre thick. A rhodium plaque, secured to the main plate by two screws, shows the name of the model and the historic trademark of Eberhard & Co., as used for the first wrist chronograph in 1919. 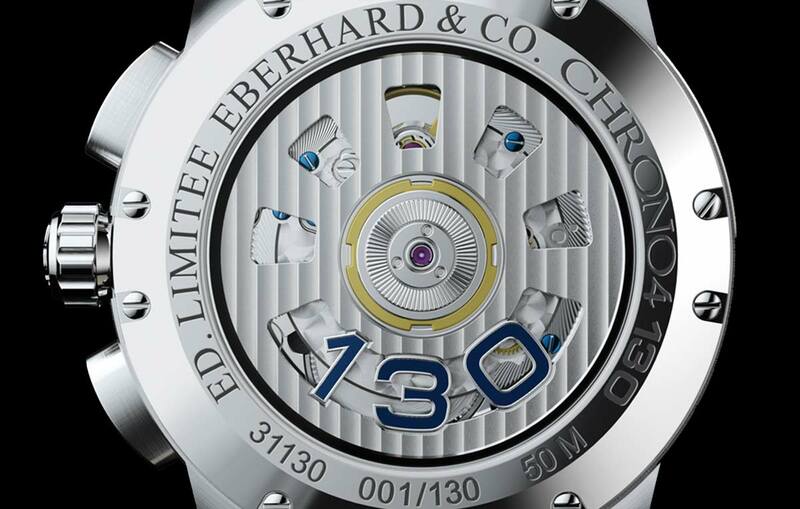 The sapphire glass case-back provides a view of the circular oscillating weight, finished with Côtes de Genève and customised with the number 130. True but not sure about counters readability. 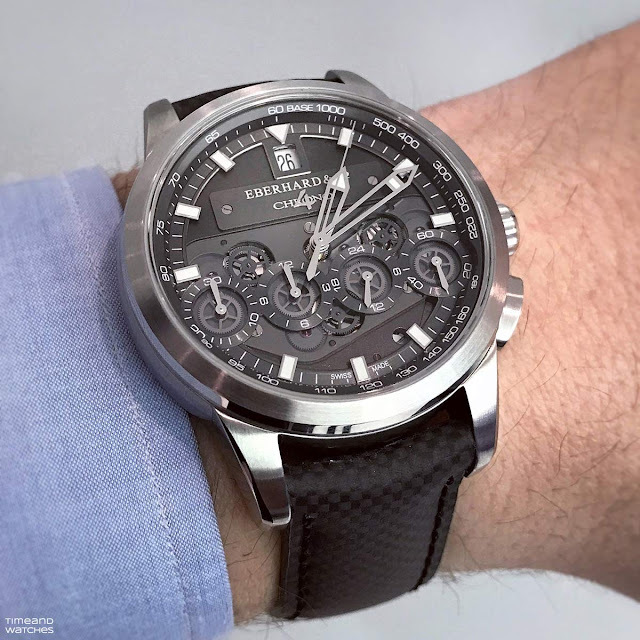 They are so small.